The data was added on ,	7 October 2016 read 606 times. France has announced a controversial plan to build more than 30 new prisons in a declared bid to avoid overpopulation, which it says would cause radicalization of prisoners kept with terrorists in the same detention centers. 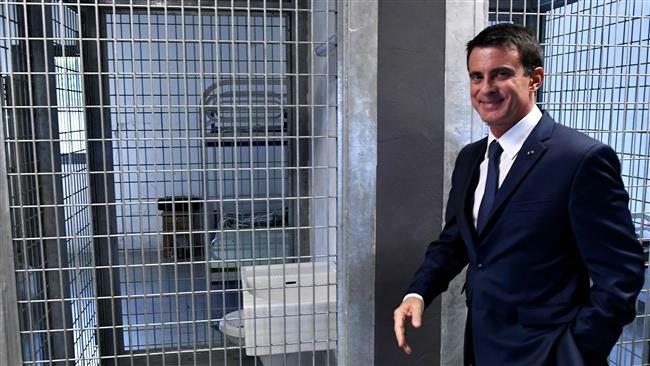 Prime Minister Manuel Valls unveiled the plan on Thursday, saying that in the first phase of the expansion project, nine new institutions and other extra facilities will be constructed to add more than 5,000 cells to the prison system in the country. “The situation is critical, especially in the short-term prisons (for people sentenced to two years or less), where overpopulation is 140 percent,” he said. Valls had promised to implement the plan two months ago. He also said more innocent people are feared to be killed in potential terrorist attacks in France as around 15,000 people are suspected of having become “radicalized.” He did not explain if the large number of people he was referring to had been radicalized in prisons. French media and politicians constantly claim, however, that some of the worst recent attacks in the country have been committed by people “radicalized” in jails. France has been the target of several terrorist attacks in the recent past. It has been in a state of emergency since last November, when the first such attacks occurred at some six different venues in and around the capital, Paris, leaving 130 people dead and over 350 others injured. The Takfiri Daesh terrorist group claimed responsibility for those attacks. Another deadly attack was carried out as recently as July this year, when a man believed to have been tied to Daesh drove a truck into people celebrating the French National Day in the southern city of Nice, killing at least 84 people, including children. France, along with other Western countries, supports militant groups fighting against the government of Syrian President Bashar al-Assad in Syria. Many militants hail from France itself and return to the European country with experience from the battle zone. Observers, meanwhile, see the prison expansion plan as an attempt ultimately targeted against Muslims in the European country. At least 60 percent of Frances’s prison inmates are Muslims, a figure hugely disproportionate to the number of Muslims in the French society, which is an estimated eight percent only. Activists and Muslim organizations blame France’s social policies for the disproportionate number of Muslims in its prisons.They argue that the problem is rooted in the government’s policies to isolate Muslims in the country, which is believed to have the largest population of Muslims in Western Europe. As a result of such policies, activists say, Muslims have been forced to move to impoverished suburbs, with substandard schools, insufficient housing and high unemployment.